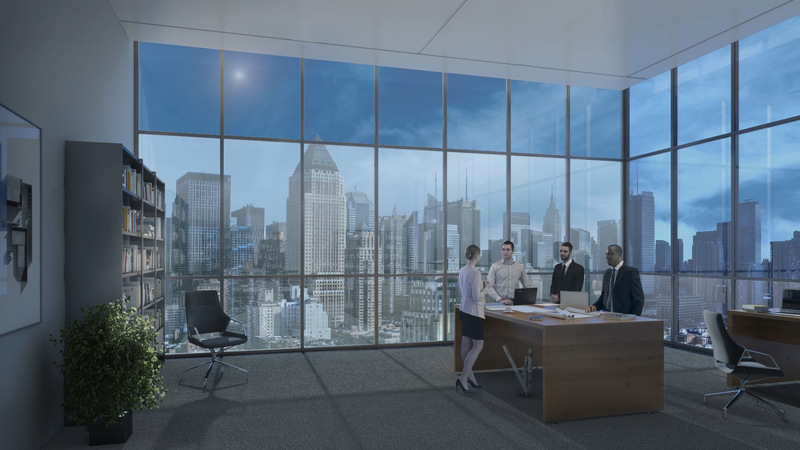 A workspace that offers unobstructed views and dynamically tintable windows isn’t just a luxury, it’s an environment where business can thrive. 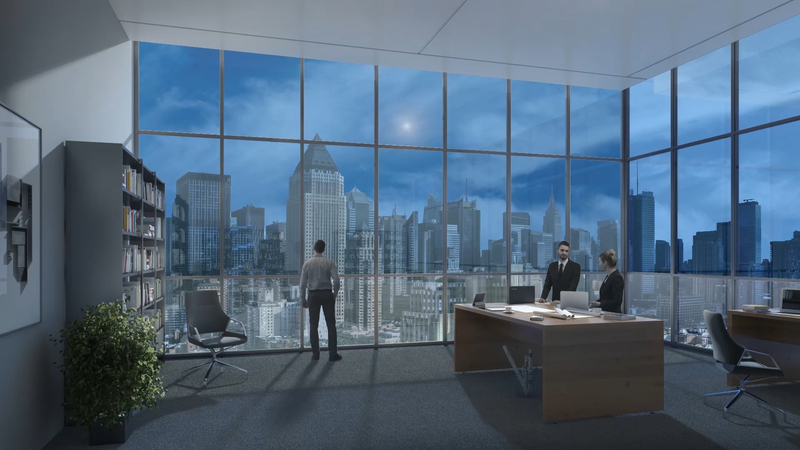 Putting a focus on architecture is a smart investment—studies have shown that when buildings are isolated from nature, employee absences go up. But when employees are comfortable and enjoy views of the outdoors without glare or excess heat, they see improvements in focus, mood and overall health. SageGlass opens up an office space, encouraging collaboration and inspiring creativity. Because when every space feels like a corner office, employees feel truly connected to the success of the business. 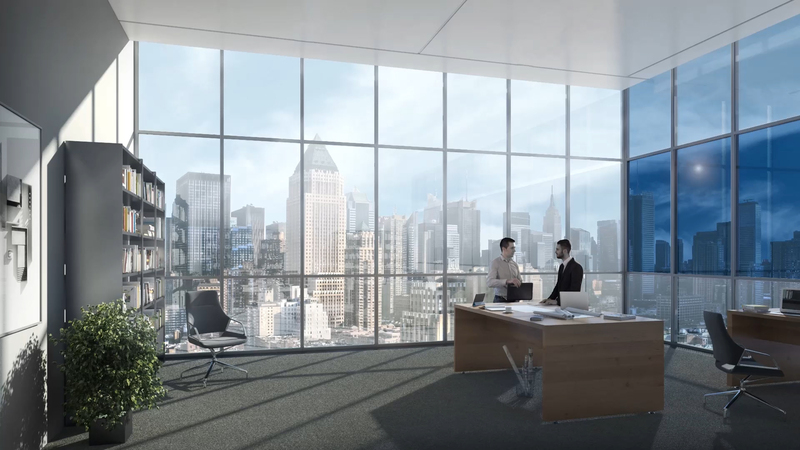 On average, corporate offices spend 112 times more on people than on energy costs in the workplace. That’s why installing SageGlass isn’t just about minimizing ongoing maintenance costs or reducing dependence on artificial lighting and inefficient HVAC systems. 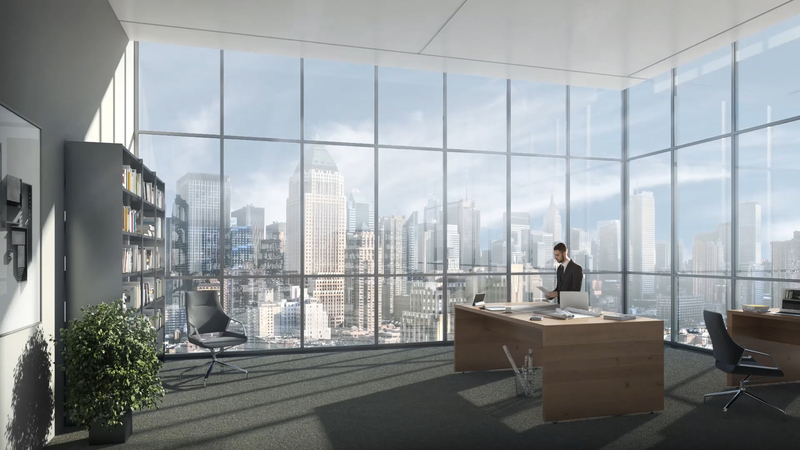 Because in addition to lowering energy costs and contributing to a building’s LEED® certification, SageGlass can decrease employee absences by 10% and increase productivity per square foot. For employers, creating a tangible connection to nature is about boosting your bottom line. We examined a wide range of more traditional solutions, including roof overhangs, exterior sunshades and interior blinds, but none of them solved the problem. We soon concluded that SageGlass would be an optimal solution. SageGlass blocks the more harmful aspects of the sun without spoiling the connection to the outdoor natural environment. This was my first time working with SageGlass, and I think it’s an amazing glazing technology. I was excited about the opportunity to integrate it into the design. SageGlass helped us exceed our customer’s expectations by allowing us to design a beautiful showcase building with abundant use of glass, without compromising their sustainability goals.